A lawsuit filed Tuesday against Google accuses the tech titan of engaging in widespread fraud by canceling AdSense accounts just before they were due to pay out. The suit relies in part on recent accusations that Google developed an AdSense fraud scheme in 2009 to prevent publishers from collecting money that Google owed them. AdSense is a major advertiser partner network for Google that accounts for about a quarter of Google’s annual revenue. 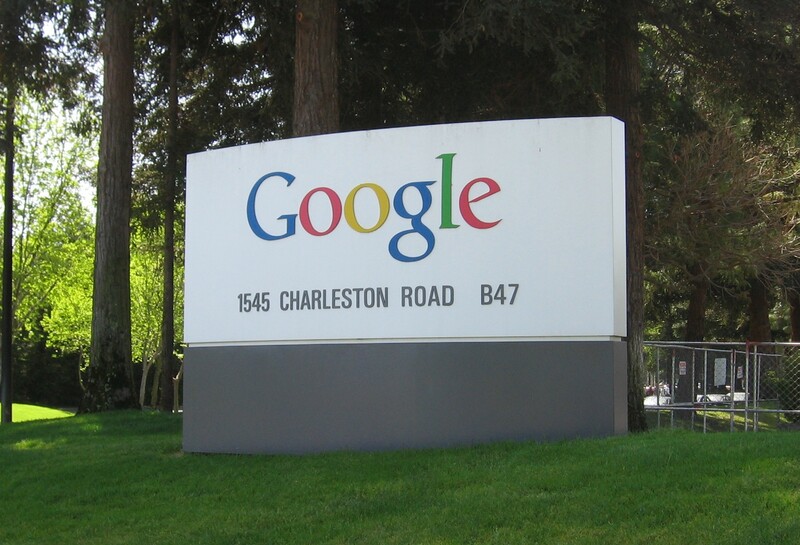 In 2013, Google earned $57.86 billion in revenue. “Google’s actions constitute breach of contract, breach of the implied covenant of good faith and fair dealing, unjust enrichment, and violation of the California Unfair Competition Law,” the filing with the US District Court for the Northern District of California states. The lawsuit is seeking class action status so that it can represent all US-based AdSense users whose accounts were disabled or terminated when Google refused to pay them their final payment. The case was filed by Hagens Berman Sobol Shapiro on behalf of Free Range Content, the California-based owner of Repost.us, which had been using AdSense to display ads. Free Range Content alleges that it first noticed an unusual jump of $40,000 in its AdSense earnings this past February. The company says that it reported the anomaly to Google, and was scheduled to speak with an AdSense representative on March 6 when Google disabled their account two days before the call. Google, the suit alleges, refused further contact with Free Range Content. The anonymous accusation from the end of April alleged that Google had an internal policy that included a color-coded plan detailing when to block or approve different kinds of AdSense subscribers, called AdSense Quality Control Color Codes. “We were told to begin banning accounts that were close to their payout period (which is why account bans never occur immediately after a payout). The purpose was to get that money owed to publishers back to Google AdSense, while having already served up the ads to the public,” read the accusation, which had been posted on PasteBin and reposted Reddit. However, Google did not respond to a request for comment on the lawsuit. Google’s motto of “Do no Evil” must simply apply to the advertisers they’re dealing with and not to them. Happened to me too. I was always very careful to follow the TOS, and my account was banned with no explanation. This happened to me. I was banned from AdSense about a week before the previous month’s payment was to arrive. Reason given was “misleading headers” which is extremely vague. I had my account since the beginning (’05 or so). I hope justice will prevail. Google accused me of Adsense fraud and never gave me a chance to express myself. I was very sure they had something fishy going on, but what can a single individual do? I am happy someone stood up against them. Wow already liking this lawsuit, google has some explaining to do. Same thing Google was to pay me $3000 check and next thing I know Boom your banned.. Won’t talk to me or awnser my emails. I tried for 3 months this happed to me back in 2007 it’s been going on for a long time.. They have probably taking billions of dollars.. The also let my company loose of $20,000 to click fraud I could show the ip of a competitor that was hitting for 2 years.. After spending $60,000. With them I closed my act… This scandal is so deep damages could be in the billions.. People have been predicting this for many years.. Sell your google Stock now! Same here. After years having an account that never broke the $100 payment threshold, I was elated when I received an email from Google that notified me I had a verified balance of $109.42, payable at the end of the month. Three days later, BOOM, account cancelled! No money, no explanation, no recourse. If they make this a class action suit… I’m all in. You can already tell this is going to snowball as more and more people step in and say “this happened to me”. Google are going to have some serious problems in the coming months as we see how many people this actually affected. It’s about time. Call Google to explain errors in ad and the fact the 5k was supposed to be over a much longer period., everything goes bad. Even when the target of the ad was the mistake and no one benefited from the ad. Even when the entire ad emptied overnight on the wrong side of the world, the one that was awake. Google did not want to help. They wanted the money. Since they are the only game in town they don’t have to care about the customer. I had to cancel the account and run a charge back on the funds. Got the money back but Google thinks it is still owed. Account closed by them, No access to previous records either. I’ll be watching this one very, very closely. They did EXACTLY this to me. Payment was on its way and, “Boom!” Sorry, we’ve detected fraud, but we can’t tell you who, what, where, how, how much, etc., because that would violate our proprietary system. I hope, if nothing else, that proprietary system is displayed for the world to see, and Google ends up having to pay BILLIONS to publishers and attorneys to handle this. Could become a good time to watch the stock and short it at the appropriate time. I’m with you Danny, I’m sure they’ve done EXACTLY THE SAME THING TO THOUSANDS OR MORE. I had a small account when i first started blogging and after a month or two i received an email accusing me of click fraud and advising me I was banned for life.. I’m glad I found other alternatives and advertisers. Happened to me last October, end of month. I had an AdSense person actually call me to review the site. All seemed well. Then they canceled my account leaving over $5,000 on the table. After 7 years. It is almost like if you get fired from your job on the 30th. but the company won’t pay for the the last month. In my opinion, it doesn’t much matter why they cancel the account. For cause or not. They can do what they want. BUT they should be paying for ads already served. This would be very interesting to have a peak behind the curtain and learn about the sudden bans with no reasoning or correspondence behind them. Google is all too happy to let you place the Adsense code snippet on your website, but the moment they decide to ban you they seemingly cannot take the 2 minutes to explain to you the reason for the ban. They expect people to lay there and take it, so nice to see someone saying enough is enough and forcing the issue through the legal system.